“Accountability is a business requirement, there’s a monetized value you can place on trust. If a company is trusted, it’s far easier to cross-sell or up-sell.” Steven Overman quoted in an article published by Steve Watkins for his Leaders & Success series. How we conduct our economy can lead to a greater conscience economy, it is incumbent upon business to innovate to create the world we want to live in. Interview with Sinclair Noe, of Money Radio 1510 in Phoenix, Arizona. Link to Sinclair’s website from here. Fast Company: Does Your Business Have a Conscience? Article published by Fast Company, Tuesday January 6, 2015. Adapted excerpt from THE CONSCIENCE ECONOMY: How a Mass Movement for Good Is Great for Business (Bibliomotion, 2014) by Steven Overman. VIDEO: Big changes coming to American consumerism? Kodak CMO Steven Overman weighs in with Stuart Varney on changes in consumerism and where Americans are spending money. Published November 9, 2014, click image to redirect to article. Guest essay piece written by Steven Overman for Rochester’s Democrat & Chronicle. Where will future big ideas and new ventures come from, when global creative capitals like New York, San Francisco, London and Tokyo are increasingly unaffordable for the young creative risk-takers who drive the next wave, the next economic paradigm? When I think about the future, I see a different urban model. A human-scaled, liveable place, where existing structures are continuously re-adapted for new purposes including light manufacturing, the production of sustainable energy, and social enterprises. I see vibrant markets for sustainably grown food, an education magnet with lively universities and colleges that specialize in future sources of value, expertise in engineering, creativity, science, healthcare. I see an ecosystem of established companies, family businesses ,and entrepreneurial ventures, all thriving, competing, collaborating, and nurturing each other. I see Rochester. 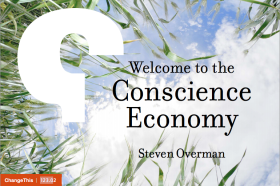 A short video look at why I wrote The Conscience Economy, How a Mass Movement for Good is Good for Business. 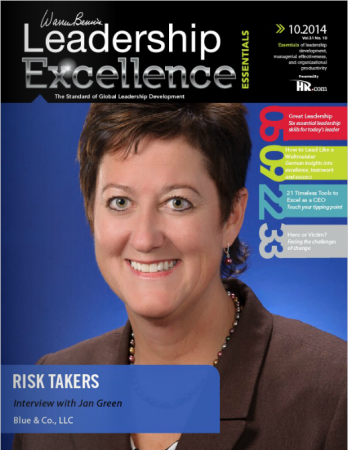 Article Published in Leadership Excellence Essentials, October 2014, vol.10 No.31. How will your business thrive in it? Adapted excerpt from THE CONSCIENCE ECONOMY: How a Mass Movement for Good Is Great for Business (Bibliomotion; October 28, 2014) by Steven Overman. Our interconnectedness has heightened our awareness of the impact we—and the businesses from which we buy, for which we work and in which we invest—have on humanity and our planet. This in turn intensifies the demand for positive agency and meaning, not only in what we do but in all the decisions we make. It’s a clear meta-trend, a mass movement for good, that’s been gaining momentum for forty years. And now, the movement is reaching its tipping point. Broad awareness of social injustices and environmental risks, concurrent with emerging technology innovations, has given rise to new rules, expectations, behaviors, participants and structures. And the conflux of forces that are redefining how we live, interact, work and play are giving rise to a new global culture. This emergent culture—the Culture of Conscience—is all around us; indeed, we already inhabit it. A Culture of Conscience is taking hold so broadly that some might dismiss it as too ubiquitous to characterize as a sociologically momentous event. But with it comes new priorities and accountabilities that are steadily transforming the way we work, live, prosper and measure success. The consequences are not confined to one or two business sectors; every business, large and small, will be affected by it. It’s an epochal cultural shift. The question is, how will your business thrive in it?